Meta-states: A state about a state, bringing a state of mind-body (anger, excitement, curiosity) to bear on another state from a higher logical level, which generates a meta-state. This is extremely powerful in helping create change in a variety of areas for an individual. What’s the value of knowing or working with meta-states? How do meta-states (and the Meta-States Model) relate to NLP? What if I offered you a way by which you could learn to “master your own brain” so that you could develop some high-level state-management skills and live resourcefully? Would that interest you; would you like that? That’s exactly what NLP is all about. As a model of “mind,” communication, and human functioning, NLP puts in our hands a highly efficient set of tools for updating our Model of the World so that we can develop more effective maps. In this way, NLP gives us several powerful tools for navigating life as it enables us to go places and to do things that we couldn’t before. The second sentence in the first paragraph implies and invites you into a meta-state. The question invites you into the state of interest in and liking for the NLP experience of being in control your own brain and taking charge of your own life. If you read and responded to that question by accessing the states of “interest” and “liking,” then you accessed a state “meta” to the first state. So, having just read that description, what do you think or feel about that? Do you have a clear understanding of meta-states? Or, perhaps you have confusion? Or maybe you are almost getting it? 1) Your first state was having “read a description” and presumably having been in a state where you were attempting to understand it. State #1. 2) Then, regarding that state and whatever “success” you had in it, what did you think or feel about that? Do you like understanding, confusion, on the verge of getting it? Do you dislike it? Bored? Excited? Curious? Intrigued? Do you feel controlled? Toyed with? Do you feel playful, creative, or intelligent? That was State #2– a state about your first state. Ah, there I go again. Even that question invites you to step back yet again to register some thought or feeling about all of the previous feelings. And stepping back to gain yet even further perspective, awareness, clarity, etc., this invites you to move up, that is, to take a “meta” move. Uh Oh, I just did it again. Invited you into yet another state of mind and emotion about your ongoing experience of reading and seeking to comprehend. Pretty sneaky, huh? And yet, that’s just the way our minds (and our meta-minds) work. And when you become aware of that, and know how to use it skillfully in powerful, effective, and delightful ways, it gives you the ability to operate from the higher levels of your mind. Pique your interested? This meta-function of where we can respond to our responses describes the factor about our consciousness that is most human. Philosophers and psychologists say that we have “a self-reflexive consciousness.” In our minds, we can step back to notice and react to ourselves. How often do you do that? For most of us, it occurs all the time! And it is this self-referential freedom of our thoughts that allows us and empowers us with a rich and complex kind of mind. To even answer these questions you have to step back from your experiences (better known as your states) and access a state of awareness and mindfulness and observe your states. And doing that puts you at a meta-level. No I am not talking about some kind of “out of body experience”, Of course, you’re still in your body. And yet, in your mind, conceptually, you have layered another level of thoughts and feelings upon your thoughts and feelings. Did you realize that? Doesn’t that excite you about the power and possibilities of being a meta class of life? And isn’t it fascinating that once you’re made aware of these many levels of awareness, levels of thought, that you can hear and see each of these questions as generating even more? This “infinite regress” (as the philosophers describe it) of thoughts and feelings about thoughts and feelings can, if uncontrolled, send a person into spiraling loops. We all have done that one. We experience something upsetting and then feel ashamed of being upset. And then feel guilty for being ashamed, and then angry at our guilt, and then upset about our guilt, and then bad for feeling upset… The loop goes round and round without an exit, only if we allow it. These are the kind of vicious cycles and spirals that our minds can get into if we don’t know how to handle the meta-levels of our mind. And it is these kinds of spiraling loops that scare lots of people from “thinking.” They are the ones who are quick to warn others, “You think too much!” The very process of thinking about their thinking seems like a run-away train to them. So they fear their thinking a meta-state in and of itself. Yes, precisely. Then the thinking and feeling can operate as a signal of the relationship between our Model of the World and our Experience of the World and let us know if it seems to be going in the right direction (the “positive” emotions) or in the wrong directions (the “negative” emotions). First of all, access the state of acceptance so that you just fully and freely welcome them into awareness. Strange, huh? Paradoxical, huh? Yes, it certainly seems counter-intuitive. Our more “natural” tendency is to reject our fear, beat ourselves up for our anger, judge ourselves for our fallibility, shame ourselves for our mistakes, etc. Yet that is precisely how we get locked up inside ourselves, and set taboos against acknowledging our experiences for whatever they are. I acknowledge my fear and accept that I’m feeling afraid, knowing that it is just a feeling (a feeling is just a feeling, our perception, and perception is reality of which we are in control of to change at any time once we understand how) and then evaluate whether the fear state is appropriate or inappropriate, current or dated, information to take counsel from or to face with courage, etc. In this, by meta-stating acceptance first, we are then able to effectively master our fears and use them in an intelligent and human way. So what’s the positive side? The bright side of our meta-cognition powers is that it gives us the ability to set the frames of mind that will support our resourcefulness. As we learn how to handle the infinite regress of state about state, we learn how to set the frames that we want at the highest levels of mind. And when we do that, we are able to access, create, and commission our executive levels. This brings about an inner alignment with ourselves so that all of our energies become laser like focused with the accuracy of a servo mechanism because of the reticular activating system in our beautiful brain. And that, by the way, describes the heart of the structure of genius. We can also take to layering into our state of mind-and-body the kind of resources that just perfectly textures our overall experience, kind of like Design Engineering. This describes one of the other ways that we speak about meta-states also known as Frame Games. You can see the “game” by observing behavior and listening to speech. The games that we play are all the actions and inter-actions that we engage in. The “frame” gives direction and meaning to the game. It includes all of the higher levels of mind about what we’re doing, how, and why. Literally hundreds of NLP Trainers and Master Practitioners have commented that Meta-States has tied the entire NLP model together for them. They have said that in discovering Meta-States, it has given them the missing piece for how all of NLP works together. Using the Levels of Thought (or the Meta-States) Model has enabled them to more fully understand how many of the NLP patterns work so powerfully for changing things. Accordingly, we have re-ordered 30 of the basic NLP patterns using the Meta-States format. This has streamlined NLP in a way that many people didn’t even think was possible. And yet it does more. As you shall soon discover, because it provides a conscious understanding of the mechanisms of the mind, it opens up new domains for discovery and creativity. In the first four or five years, nearly 100 Meta-State Patterns were discovered, invented, and created. And there’s no end in sight. Every week, practitioners and trainers are finding new and more exciting applications for Meta-States and using it to model even more complex human experiences. In many of the other articles you will find descriptions of the Meta-States model, some simple, others more advanced. Meta-States differs from traditional NLP in that it involves a much more systemic way of thinking. Instead of the more linear approach, as in the TOTE model of NLP strategies, Meta-States involves tracking “mind” around loops, backwards and forwards. It’s truly a different way of thinking. If you get lost in the process welcome to the Meta-Zone! It happens to all of us. It’s part of our heritage as a class of life that lives on symbols and that reflects back onto itself. Be patient and give it time, and I promise that new expansive worlds will open to you as it will bring you into the domain of Neuro-Semantics… that world of layered and textured meaning. It’s when you enter there that the magic really begins! Nested Loops: Process of linking states (e.g. going from confusion to awareness to calmness). This is a great way of changing the states of others during an interaction with an individual or group. Use Nested Loops to tell your speech/story. NLP Nested Loops create a slight trance in your listeners making them more susceptible to suggestion. How do you create a nested loop? You start to tell a story; then, without ending the story; you go into another story; don’t end that story; repeat three to five times. One interesting way of using Nested Loops is in a YouTube video. If for example you wanted to promote a product of yours. The speaker could include the benefits of that type of product in general, or your specific product inside nested loops. Language Patterns: Linguistic devices that can be used to assist in communication and increase influence. NLP Language Patterns form the backbone for NLP as a whole. It is amazing what you can do with these skills. Over the years I have had all manner of professionals come through my trainings such as educators, therapists, salespeople, psychologists, parents, health practitioners, coaches, trainers and more. All of them radically improved their skills with these NLP Language patterns. They are easy to learn and, with time, integrate into subtle effective skills. 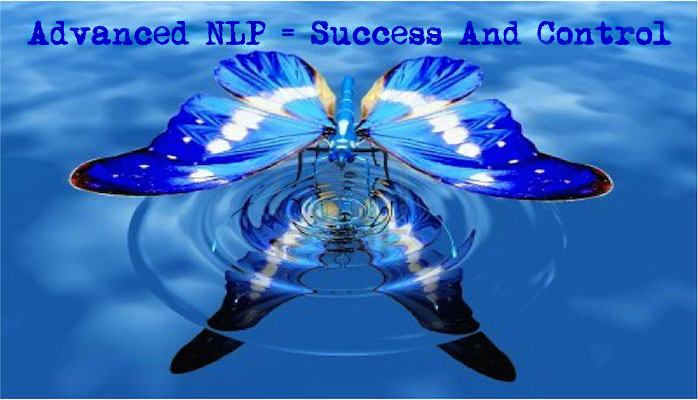 Traditionally in NLP they are taught through a model known as Transformational Linguistics. There are street-smart uses and applications for all of these. In our trainings now I have combined both the Meta Model and the Milton Model as I stripped away the jargon. A great influence on these NLP language patterns is the work of Milton Erikson, a true genius and father of modern day hypnosis. You would do well to further study his work. The language patterns covered here are best considered as part of the whole process of communication and not in isolation as they appear. To be truly effective with artful language patterns we want to understand HOW they work. There are certain principles to keep in mind. From a purely practical perspective we can look at the artful use of language from two main directions. Drilling down to precise and relevant clarity of detail. NLP is also well known for its applications in hypnosis (trance). This deserves its own special attention which we will do elsewhere. In my opinion though, there is more skill required in using these NLP language patterns in ordinary conversation than in the pure hypnosis version. You can get away with a lot when you are performing a formal trance on someone. Often, it is possible to note some people in this field who are relatively unskilled as they overdo the more hypnotic language patterns outside of conventional trance. You see it on their websites and note it in their trainings. Please avoid this. You can often detect it by noting the prolific use of the term: “the unconscious mind”. Language is a cultural experience. It means that we are ‘conditioned’ to respond to language in a certain way. This is obvious when you consider the effect that someone’s tone of voice has on you – everything from calming, alluring, authoritative to aggressive etc. The actual structure or phrasing of language also directly influences us. Please note that the design, or use of these NLP language patterns presuppose a native Western English speaking culture. There are ways of exploiting this to great effect. A huge implication here is that a lot of the proper distinctions around grammar aren’t the best way to go in terms of truly influencing people. You may or may not take solace in the news that your well-crafted grammatically correct sentences from school have no real place here. We intend to find some of these cultural influences and utilize them in our everyday language. This is an important principle to get. Another way to think about this is planting seeds or setting directions. The test of your communication is not necessarily whether it is immediately effective. Have you ever had anyone say something to you that lasted days, weeks, months or even years? This is stock in trade for a highly trained NLP practitioner. This can happen totally outside of awareness for the person you are speaking to. Yet they will come to a way of thinking about something as if it was from their own initiation. There is tremendous scope for effectiveness and good with this; also, it should be said scope for manipulation. I put my faith in human nature for the good with these skills. Some of the NLP language patterns we cover work well with this concept, some don’t. You adjust them yourself as you see fit. It is important to realize this principle though. A lot of your best work will go unnoticed and will have effect long after your conversation. I have had people come back to me years after their NLP Practitioner Training telling me how ‘that statement I said that time’ was so life changing for them, Different moments for different people. Now, I can’t take credit for that. I was just directionalising my students to be more resourceful and interested in their own future. But I can take credit for having the skill base that lead to it. Sometimes you never know when you may have the greatest effect. Train these skills in to be your ‘default’ way of communicating. I always enjoy NLP study groups. These language patterns fly, and there is a palpable air of excitement and positivity present. Sometimes though you want to be immediately effective during meetings etc. This principle is just as effective under those circumstances also. You often have other patterns working for you then as well – amnesia patterns, transition points, digital metaphors and so on. We will cover them elsewhere. Have you ever been presenting or talking to a group of people, or a person, who you knew was just waiting for the first opportunity to disagree with you or challenge you, If you haven’t try talking to a committee sometime. There is a way of using these NLP language patterns to prevent this. I call it bypassing defense strategies. You present your ideas, comments in such a way that it never enters their head(s) to disagree with you. Of course, as with most of NLP there are supporting skills to go with this such as anchoring. Rarely do we just rely on language patterns by themselves. Many times though they make up most of the array of influencing patterns that we deploy. It is essential to be able to delve into clarity with detail such that everyone knows exactly what each person means and what it looks like. This may seem like an incredibly obvious statement but it is amazing how often this doesn’t happen. The results can be disastrous. There are ways of doing this that are very elegant and undetected and ways that are just plain intrusive, nit picking and annoying. The most important element here is to understand this more as a philosophy and a principle rather than an endlessly repetitive language pattern. You can often detect a person less skilled, or elegant, with NLP by the constant refrain: ‘How specifically? Who specifically? When specifically?’ And so on. We will seek to avoid this and become elegantly effective with fast practical skills. There are many of these NLP language patterns that can assist us with this. As soon as you use language it is lacking in absolute clarity. This forms part of the foundation behind the NLP Presupposition. The Map is not the Territory. Given this, the trick now becomes how far down do you drill to reclaim some of this clarity? When is enough actually enough? It is important to consider aspects other than pure content detail here. When does it become an interrogation, does this line of questioning appear as though you are doubting the other person? Sometimes, it is better to note the need for more clarity and find a way to weave it into the conversation later, rather than have a hair trigger mechanism waiting to ambush all and sundry who are just a little too vague at times. Unrestrained, this is a good aspect of NLP language patterns to test your relationships with, sometimes for the worse. Be careful. Slipstreaming is taking advantage of existing momentum. An example is a racing car driver slipping in behind the car in front and taking advantage of the lack of the protection from the buffering and resistance. Competitive bike riders are constantly swapping out the front position as it is harder to maintain and those behind have it easier. In team races the best rider is often protected using this method. Of course the most classic example is the formation you see in the sky with swans or ducks flying in formation. How does this work in language? There are ways of eliciting beliefs or a tendency to accept statements as fact and then linking your statement to that effect. Very powerful and what is better is that it all sounds natural when it is executed well. Again, some of the NLP language patterns lend themselves to this, and some don’t. Imagine someone holding or wearing a necklace before you strung with Black Pearls each one worth $10,000. What do you think you would notice the most – the actual pearls or the thread that they are strung on? Clearly the pearls themselves. There is a way of using NLP language patterns like this. You can highlight certain points you want your listener to get from inside any conversation. The content is irrelevant. This was the genius of Erikson. He could have many different conversations with his clients while seemingly talking on one particular topic. As with all great aesthetics, sometimes these ‘Pearls’ are noticed consciously, sometimes they influence very profoundly at the unconscious level. There is a structure to this that is easy to learn. There are quite a few of the NLP language patterns to learn. You learn them individually but apply them in combination. They are most effective this way. I will provide you with a way to learn, practice and integrate them as you go. As you master these language patterns and reconcile them to the principles at play you will then be able to set about learning other ways to explore the effectiveness of language. Believe me, there are more places to look than just NLP. The great marketers for example, their understanding of the psychology of communication is profound. Sophisticated sales techniques, negotiation strategies even a brilliant lawyer. Once you develop this as a style of thinking and communicating there are many places you will find new ‘licks and chops’ to add to your repertoire. NLP language patterns are just the beginning. New Behavior Generator: Visualization technique for learning how to rapidly integrate new skills and behavior. This is only a partial list of basic and advanced NLP techniques that will help you and/or your client create massive change. As you continue your training and study of NLP, be sure the above are part of your learning.